Los Angeles, CA December 11, 2007 — Summit Entertainment announced today that Robert Pattinson will star as Edward in the highly anticipated feature film production TWILIGHT opposite Kristen Stewart. The thriller-romance, based on Stephenie Meyer’s publishing phenomenon, is slated to begin production in February 2008 with Catherine Hardwicke directing a script by Melissa Rosenberg (STEP UP). Karen Rosenfelt (DEVIL WEARS PRADA) and Greg Mooradian will produce along with Mark Morgan via his Maverick Films banner. Robert Pattinson most recently starred in LITTLE ASHES as the young Salvador Dali. 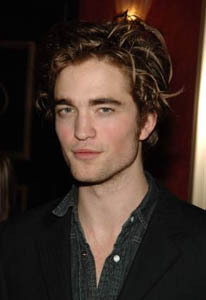 Pattinson is best known for his role as Cedric Diggory in the recent box office successes HARRY POTTER AND THE ORDER OF THE PHOENIX and HARRY POTTER AND THE GOBLET OF FIRE. I am ecstatic with Summit’s choice for Edward. There are very few actors who can look both dangerous and beautiful at the same time, and even fewer who I can picture in my head as Edward. Robert Pattinson is going to be amazing. Summit Entertainment now lists Twilight as being pre-production on their website. Los Angeles, CA November 16, 2007 — Summit Entertainment announced today that Kristen Stewart will star as Bella Swan in the production of the feature film TWILIGHT, the thriller-romance based on Stephenie Meyer’s publishing phenomenon. The film, which begins production February 2008, will be directed by Catherine Hardwicke, with Melissa Rosenberg (STEP UP) having adapted the script. Karen Rosenfelt (DEVIL WEARS PRADA) and Greg Mooradian will produce along with Mark Morgan via his Maverick Films banner. TWILIGHT tells the story of 17-year-old Bella Swan who moves to the small town of Forks, Washington to live with her father, and becomes drawn to Edward, a pale, mysterious classmate who seems determined to push her away. But neither can deny the attraction that pulls them together… even when Edward confides that he and his family are vampires. Their unorthodox romance puts her in physical danger when Edward’s nemesis comes to town and sets his sights on Bella. Meyer’s Twilight is a cultural phenomenon, hitting legions of readers of all ages, that has spawned two sequels including New Moon and Eclipse. Twilight is a #1 New York Times Best Seller and has been lauded by critics.Twilight‘s recent sequel Eclipse most recently debuted at #1 on the USA Today bestseller list unseating the newest Harry Potter. Erik Feig along with Summit Entertainment’s Senior Vice President of Production, Geoff Shaevitz, and Creative Executive Gillian Bohrer will oversee the project for the studio. Kristen Stewart was introduced to worldwide audiences with her outstanding performance alongside Jodie Foster in PANIC ROOM. Stewart can now be seen in INTO THE WILD for director Sean Penn. She is currently shooting the female lead role in ADVENTURELAND opposite Ryan Reynolds and Jesse Eisenberg for director Greg Mottola. She will soon be seen in a starring role in the independent film THE CAKE EATERS for director Mary Stuart Masterson, the independent film YELLOW HANDKERCHIEF alongside William Hurt and Maria Bello and a supporting role in WHAT JUST HAPPENED alongside Robert De Niro and Sean Penn for director Barry Levinson. 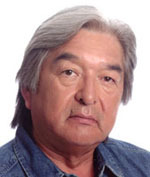 Stewart’s additional film credits include IN THE LAND OF WOMEN, THE MESSENGERS, ZATHURA, SPEAK, FIERCE PEOPLE, CATCH THAT KID, UNDERTOW, COLD CREEK MANOR and THE SAFETY OF OBJECTS. Stewart is represented by The Gersh Agency and lawyer Joel McKuin at Colden McKuin & Frankel. Karen Barna, Summit’s Director of Business Affairs, negotiated the deal on behalf of the studio. I’m very excited to have Kristen Stewart play Bella in the upcoming Twilight movie. She’s an amazing actress with experience all across the board—action, horror, comedy, romance, and more. Since Twilight has moments that fit into every one of these genres, I’m thrilled to have a Bella who has practice with them all. Summit’s vision of the Twilight movie continues to dovetail very closely with mine, and I’m comforted to know that my “baby” is in the right hands. For every actress that has been suggested as Bella in the past few years, there are always a slew of critics that cry, “But she doesn’t look like Bella!” (Which can often be translated thusly: “She doesn’t look like ME!”) To this I would like to say: “Of course she doesn’t!” Bella is a fictional character, and she looks different to everyone. As is the same with every actor who will be cast in the next few months, no one is going to match up with your mental picture exactly—or mine. The thing to hope for is a really great actor who can make us believe she is Bella (or Alice or so forth) for roughly two hours. I think we’ve got that with Kristen Stewart, and I can’t wait to see her step into the role! While there is still no new information, it is exciting to see them on IMDb and will be more exciting to check updates in the future. Things continue to move forward with Summit, and I couldn’t be more pleased. They have officially signed director Catherine Hardwicke and writer Melissa Rosenberg. I had a chance to sit down with Catherine and Melissa and many of the other people involved while I was in L.A. It was a fantastic conversation and they asked all the right questions—I even had a chance to mention a few of my favorite actors. 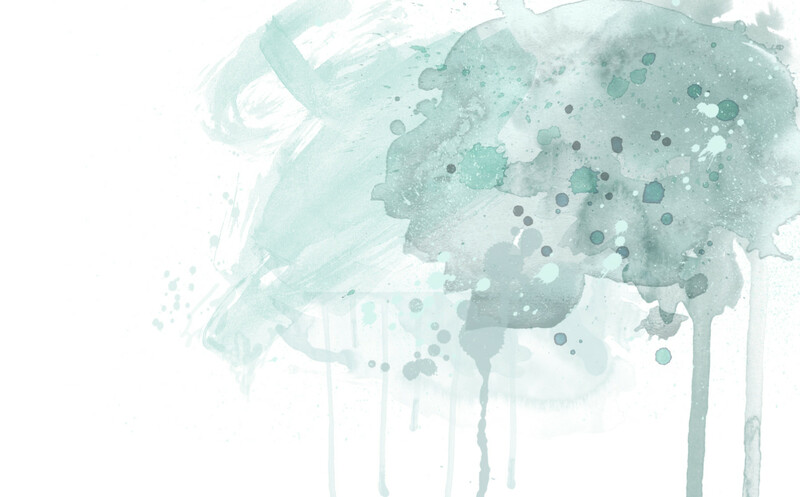 I’m so excited to see what comes next, and I promise to keep you all in the loop when new things happen. I am very excited to announce that Twilight has been optioned by Summit Entertainment (http://www.summit-ent.com/). The deal with MTV Film (and friends) lapsed in April, and since that time my agents and I have been negotiating with Summit on a great contract that I think will really protect the story. The people at Summit seem quite enthusiastic about doing Twilight the right way, and I’m looking forward to working with them. The story will be optioned for the next fifteen months, when Summit will have the opportunity to buy the property. I will keep you updated on any developments as soon as I find out about them. Okay, moving on. I’m not willing to relinquish Henry completely; since I hear that Charlie Hunnam refuses to consider scripts which include vampires, I propose that Henry play Carlisle! (Would Henry dare to find out if blondes DO have more fun?? Then who will play Edward? I don’t have the perfect answer. I’ve seen some nice suggestions, but keep in mind a few reality checks: I’m not considering anyone over 21 (sorry Gaspard Ulliel fans! ), or anyone who isn’t a real actor (which is terribly sad, considering the beauty of models like Kevin Flamme, Jeremy Dufour, and Thomas Beaudoin; this counts out all the lead singers, too, Gerard Way lovers.). 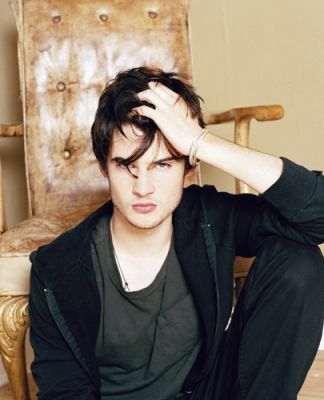 Realistic options include actors like Tom Sturridge. 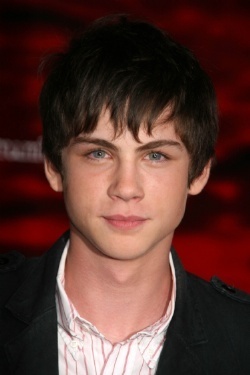 And keep a close eye on the rising generation of actors (remember, even best case scenario it will be quite a while before any filming begins)—boys like Logan Lerman who have a lot of pretty potential. 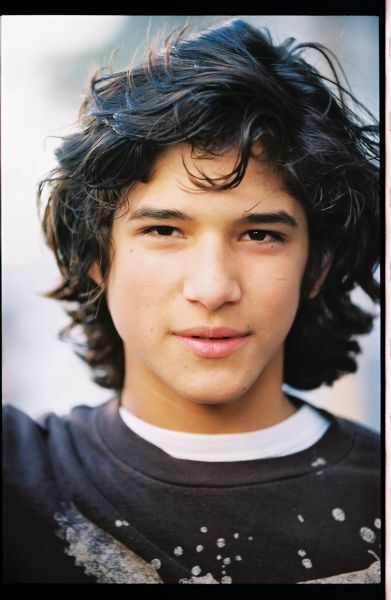 Or, for Jacob, Tyler Posey. That’s as far as I’ve gotten in my personal recasting. The lexicon has a great forum for suggesting your favorite actors. Edward: Indisputably the most difficult character to cast, Edward is also the one that I’m most passionately decided upon. 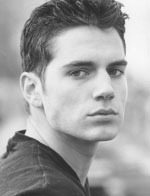 The only actor I’ve ever seen who I think could come close to pulling off Edward Cullen is….(drumroll)…. Can you see it? I know I can! Just look at those lips! Love her! Though I would be happy with several possibilities for Bella, I will throw myself off a tall building if they cast some lip synching, popstar-slash-actress in the role. Just FYI. Carlisle: Second only to Edward on my “passionately decided” list is Carlisle’s character. My favorite: Charlie Hunnam. The reason this actor was able to get such a hold on me was his work as the title character in Nicholas Nickleby. He pretty much was Carlisle in that movie. Other options include Vince Vaughn (give it a minute…picture him with a few extra pounds and a receding hair line…can you see it?) 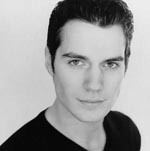 and a more likely chance would be Adam LeFevre (I know him as Damon Bradley in Only You). Alice: The only actress that springs immediately to mind is Rachel Leigh Cook. James: Ah, James! This is one of the most fun to cast. I started out leaning toward Joshua Jackson, who could do a fantastic job (and I still love you, Joshua! ), but then I saw Cillian Murphy in Batman Begins. 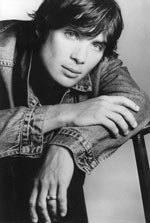 Cillian Murphy!!! 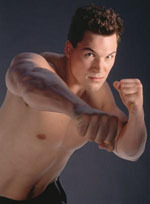 Emmett: Daniel Cudmore, X-Men‘s Colossus. Rosalie: I didn’t find an actress that looked like Rosalie to me, but I did find a model…Joanna Krupa. And hey, don’t all models want to be actresses?